Magnetic lashes are newer to the beauty world and are starting to gain more popularity, but which ones are the ones to try? When I heard Ardell came out with some that I could easily pick up at my local Rite Aide or Walmart I was instantly intrigued. I spent the 14.99 on them and thought they would be life changing. Well, they weren't. I could not for the life of me get them on, and when I did they looked so unnatural and fake. I was disappointed because I thought they would be so easy for everyday use. Then I came across One-Two Cosmetics! I did a ton of research on this brand when I came across it on Instagram. These lashes are pretty pricey so I wanted to make sure I wasn't going to relive the experience I had with the last ones. I read tons of reviews, both good and bad. The bad reviews mostly consisted of people saying they had difficulty getting them on or could not get them on. I ignored these and splurged anyway because I really wanted these to work, and they did! I am going to do a break down below including the quality, style, and application process I used. I found the quality of these to be great. They are cruelty free so they are not Mink hairs but synthetic fibers. The packaging is gorgeous and feels glamorous! 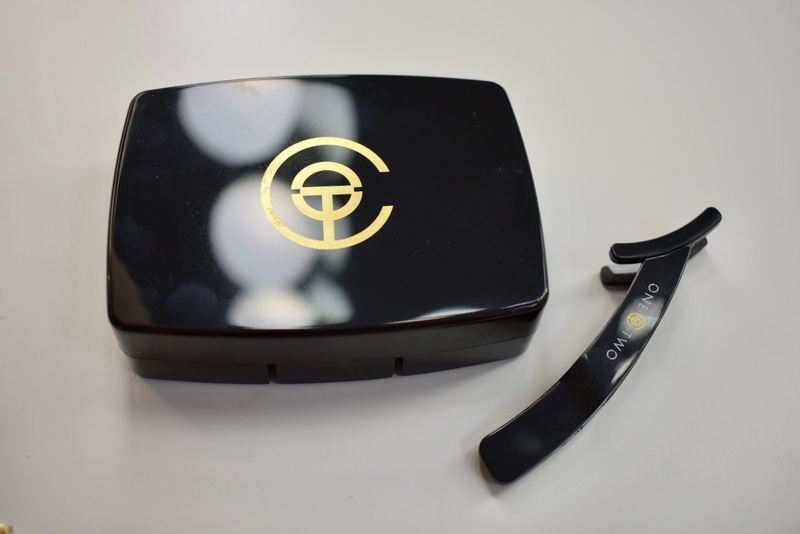 The compact that the lashes come in has a magnetic base so that you can travel with the lashes without worry of them falling loose. 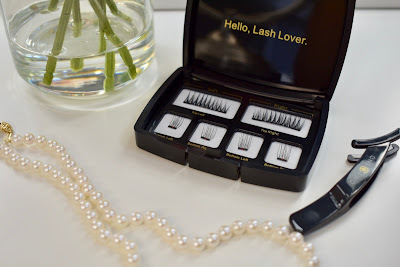 The lashes come with an applicator which honestly, I didn't love per-se but its worth experimenting with! I only use it to get the outer corner on. I feel like it would need to be a little more curved to the eye to work. The lashes come in a variety of styles, both in full coverage as well as half. I bought the full coverage Enhanced lash. The half lashes are for those who just want a little drama and flair at the end of their lashes. I wanted total lash enhancement so I went with the full coverage. The website notes that if you want really subtle natural looking ones to go with the original. The enhanced (which I bought) still have a natural look but are a little fuller. Then they have bold, and extra bold which are a more dramatic lash. I figured as a beginner I would start with the enhanced. I can't wait to try some of the other styles. 1. Start by placing the full lash on the applicator and line the outer corner piece with the upper lash. 2. Get as close as you can to the lash line and connect. 3. Now use your fingers to hold down the inner corner of the upper lash. 4. 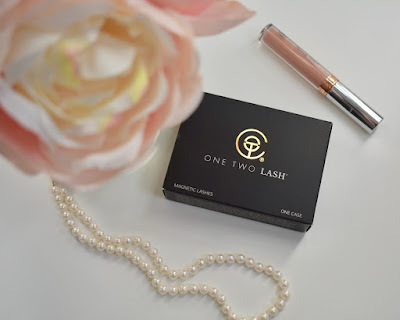 With lash tweezers pick up the inner corner piece and connect as close as you can to the lash line. I found the inner corner to be harder to apply then the outer. Slide the magnets away from each other and gently remove. Place back in the compact for safe keeping. They offer a cleaning solution if needed. I am going to be honest the first time it took me 10-15 minutes of playing around before I was happy with how they were placed. This is normal, just like when you start using strip lashes it takes practice. The more you practice the better you will get. With that being said, there are a few cons: it does take practice, if not placed correctly you can see the magnet on the inner corners of your eye, and the bottom lashes are very delicate and small. Definitely work over a table so that if one drops you can find it right away. I would also say just be gentle with these, they are fragile but can last a few months if you take good care of them. Please don't hesitate to ask any questions in the comments, I will do my best to answer! 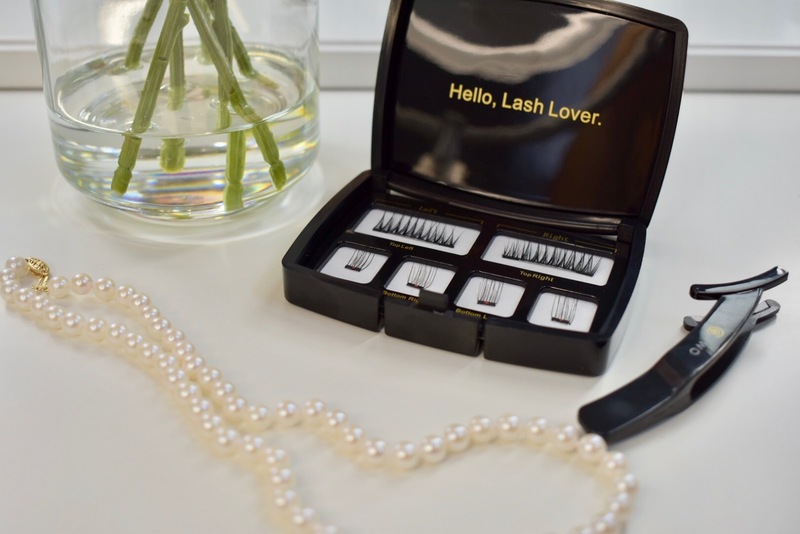 Have you tried magnetic lashes? What did you think?